You're probably wondering why the forum appears to be so tiny right now... well, there is any easy explanation for that! We want this site to be exclusive to the members, so a lot of the content is only available for the members to see. This includes writing, role playing, our chat, games, competitions, tutorials, help, and more! To see all of these cool features, sign up! 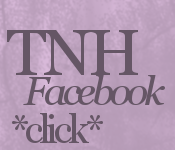 Welcome to TNH! This is an awesome site, oriented around letting people become their inner selves! Everyone is welcomed, and everyone is encouraged to participate! We have role playing, art, writing, advice, chat, and more! We have been around since January 2012, and since then we are steadily growing! Visit our topsite & vote for us! March 28th, 2013~ The site has been updated quite a bit. The site is now also public for everyone to see. Hope you enjoy it and join! November 7th, 2012 ~ ChristinaSixx has been announced MOTM! Click HERE to congratulate her! November 3rd, 2012 ~ Holiday Recollecton writing contest (official contest) has started! CLICK HERE! Check your emails and inboxes! July 20th 2012 ~ Added in a floating cbox! (Members only) Bottom right corner of your screen! July 19th 2012 ~ I know, you see me changing up the site again. I'll have it finished sometime later today. If it's a "nerd" site, it needs to be "nerdy". July 1st 2012 ~ Eeeep! We are opening up to the public. Aren't you excited? 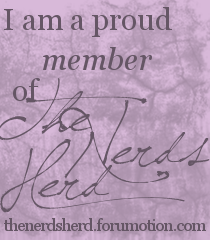 Show your support for The Nerds Herd! Put this onto your other websites today! Advertisements may contain viruses! TNH does not control the ads that shows up on our website! So beware! Welcome to the digital art tutorial directory, as well as the place where you can request for a tutorial to be made with whatever you need help with! Below are the titles of the tutorials underneath whatever program they are oriented for. Please look through these tutorials before you request a new one. If you are making a tutorial, please just give us the link to your topic so we can list it here! Layout design created by forum admin Midnight. Some coding was taken from forumotion help forum. 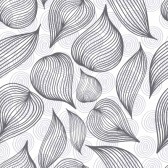 All content on forum gives credit to their owners and posters. Forum is hosted on forumotion.